For those into e-learning, using and adapting to various Learning Management Systems(LMS) is a given. 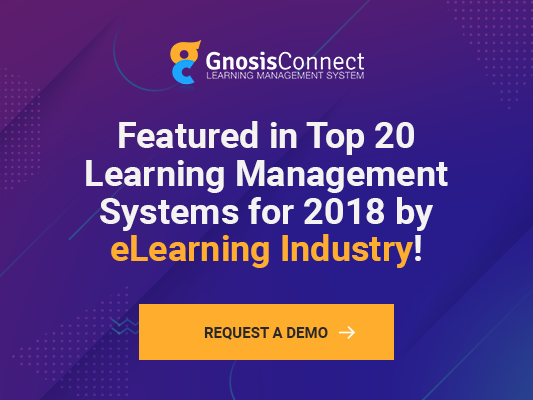 However, as recent researches suggest, one of the oft-mentioned challenges in using LMS functionalities to increase efficiency is lack of integration and inflexible reporting capabilities. Without these, it is difficult to measure the impact of training on any business. Identify your objectives. What do you need from an LMS? Why do you need an LMS? How is it going to address your online training? Examine thoroughly the motivation behind your purchase. Besides the overall costs, do factor in vendor charges, licensing fee, additional fee for advanced support upgrades/updates, maintenance, and upkeep fee. All these can add up and overshoot your budget. In most cases, implementing an LMS is a group effort. An ineffective team on hand will result in unexpected and costly delays. Ask your collaborators, IT experts, and your team to use the LMS free trial or sandbox environment and gather feedback. Ensure that your existing online resources are compatible with the LMS platform. For example, third-party Authoring Tools and interactive e-learning content may not work with the new system. Try out the free trials and demos before you buy an LMS. You may discover flaws regarding the user interface or lack of some features that you might require. Even if your LMS tool is a great fit for your business today, think if it is going to be as effective or useful a year from now. Ask yourself if it is going to be a worthwhile investment? Another overlooked factor is scalability. For example, you may only have 10 corporate learners now. But if you expand in the future and your LMS charges for each individual user, would you be able to factor in the costs? In spite of the challenges above, there is a host of benefits that have made LMSs find global acceptance. It gives employees/users the flexibility to undergo training anytime, anywhere using their PCs, tablets, or smartphones (if a mobile learning version is available). Organizations can cut costs that they incur on hiring and paying wages to instructors, on training facilities and educational courses. LMSs usually ensure customization of courses to organizational needs. You can build in-house courses using the LMS tools and features. Having a tailor-made solution is a good way to enhance overall performance. Modern and technically LMSs provide pre-built templates for content creation, extensions, and customization. These days cloud-based LMSs are offering to store up all your training documents, assessment sheets etc. at one location. This reduces the risk of losing important data and is easier to create your course. This makes LMSs a seamless fit for online collaboration. An ideal LMS will give you the ability to keep track of learner progress and ensure that they are meeting their performance milestones. An LMS with excellent reporting and the analytical tool will pinpoint areas of the LMS that may be lacking, as well as where it excels. She is an instructional designer with Infopro Learning. She has more than 12 years of rich experience in Editorial Functions, Content Development, and Corporate Communication.